It was established in 2000 to provide travelers, individuals and large groups with a superior choice of tours from Siem Reap to make their trip to Cambodia an experience beyond the norm. Our past guests have really modeled the programs and content. Our Objective: Connecting passionate travelers with unusual travel opportunities, providing a genuine experience through sustainable environmental sensitive travel and which incorporates the local people , traditions the Kingdom of Cambodia . 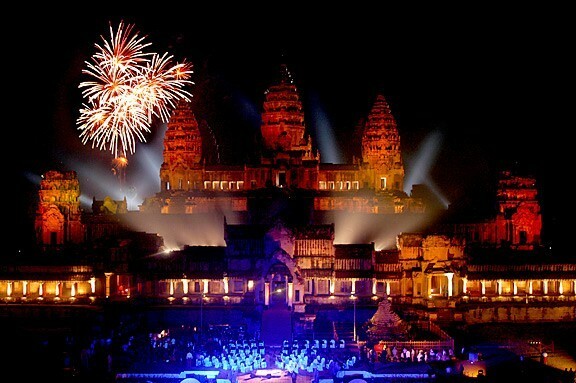 Discover Angkor Wat , Siem Reap and what lies beyond it. In all our tours, we are interested to show you the culture, the people, their way of life, why it's different, the local history….… stories translated from local people. Not only are you on holidays and on tour but visiting a country rich in culture, which has experienced a glorious past and a more recent troubled history. 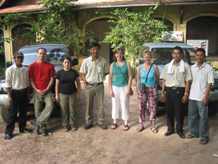 Eco tours - 4WD, Trekking, camping, Walking & Cycling Adventure Holiday and Tours All the same locations in powerful four-wheel air conditioned vehicles where guests can walk, trek or cycle, overnight in lux hotels, home stays, guests houses, eco lodges or camp in the shadow of ancient temples & stunning locations. New good blacktop roads , hidden smaller roads, tracks and trails, small villages, temples of Kulen mountain, temples in Ker Ker, Preah Vihear, Prasat Bakan of Kampong Svay, Anlong Veng - you can really design and tailor it . School Tours, Study Tours & Student groups. Interested in a Cambodia Tour for your school group? We are experienced operators of all inclusive school tours of Cambodia, bringing well thought out educational tour programs that incorporate the local people and traditions of Cambodia with Angkor, Alwasy fun content in multi-activity locations of stunning beauty. Conference , meetings & incentive (M.I.C.E). Since 2009 we have been working with clients to hosts their conferences and meetings as the destination managers. Siem Reap ranks up there for ease to arrive and depart and get it all in. Small town, small airport , exceptional world class hotels and .... Angkor wat! Fantastic new and improved facilities abound with exceptional value to fully laid on, concentrated hotel teams to deliver on everything on your list. What better a location for minds to come together and plan the future then in the shadow of Angkor . We love the small detail, the airport welcome, the banners, the gala dinners and the right meeting room, the excursions! Past and present Hidden Cambodia guests are often moved by their visit and continue to support and contribute to rural development in the villages that we travel to. Programs are ongoing with H C guests now having helped improve the lives of hundreds of Cambodian families for the better ..literally. Well building, water filters, first aid training, transport to hospital are ongoing but we are mainly concerned with access to water. Guests can assist for a little as $20 by donating and distributing a water filter and or sleeping mat to a family while on tour. Famous!! As mentioned in the guide books and forums of Lonely Planet, The LUXE Guide, Footprints , Rough Guide, Spanish Blue Guide, Stefan Loose German Guide ,Trip Advisor UK & Heritage Watch, of which we are a silver member.